Over the past 50 years, plastic has caused immense damage to Mother Earth and her water bodies and has killed millions of animals who unknowingly consume it. Cloth bags are usually the go-to when one thinks of an alternative to plastic. But how feasible are cloth bags when it comes to carrying damp products like fish and seafood? Ashwath Hegde, Founder of Envigreen Biotech India derived a solution for this problem. Ashwath manufactures products that look like plastic, but in reality aren't. They are made of biodegradable plastic from materials such as corn starch, potato, tapioca, corn, natural starch, banana, flower oil, vegetable oil derivatives and vegetable waste. Fascinating, isn’t it? What made him come up with this product is a very interesting story in itself. Ashwath's aim was to practice law and he says that he had no plans of getting into entrepreneurship until the day he was seriously injured in an accident. He decided to do something unique and create a benchmark. "My interest was in making eco-friendly products hence, I started making plates and cups from areca leaves. I also started a manufacturing plant in Belthangady to produce eco-friendly plates. Suddenly, in 2012, Mangaluru City Corporation imposed a ban on plastics, I thought that I must invest in this venture of providing cloth bags in Mangaluru. During the distribution of cloth bags, a fisherwoman came to me and asked me if I was the reason behind the ban on plastics. She raised a serious question when she asked me about how she could sell fish worth Rs 20 in a bag which costs Rs 25. No one was ready to buy these bags," he narrates. Ashwath hit on the idea of producing biodegradable plastics, but making that work was a real challenge as he hadn't studied Science. He formed a team with his friends and after a few months of R&D, they finally decided to use corn starch, vegetable oil derivatives and vegetable waste. In 2016, Ashwath first introduced his product in Qatar on World Environment Day through his campaign Go Green Qatar. He says, "I had to stay in Qatar for more than seven months before launching my product. I visited corporate industries, studied the government laws, types of bags people use there and spoke to supermarket owners. Like India, there is a plastic mafia in Qatar too. The Qatar Environment Ministry’s Vision 2030 includes prioritising environment. Hence, I received immense support from them. My work and launch of biodegradable plastic went viral and was appreciated in many countries. That's when I received an invitation from Prakash Javadekar, the then Minister of Environment, Forests and Climate Change to start my organisation in India. 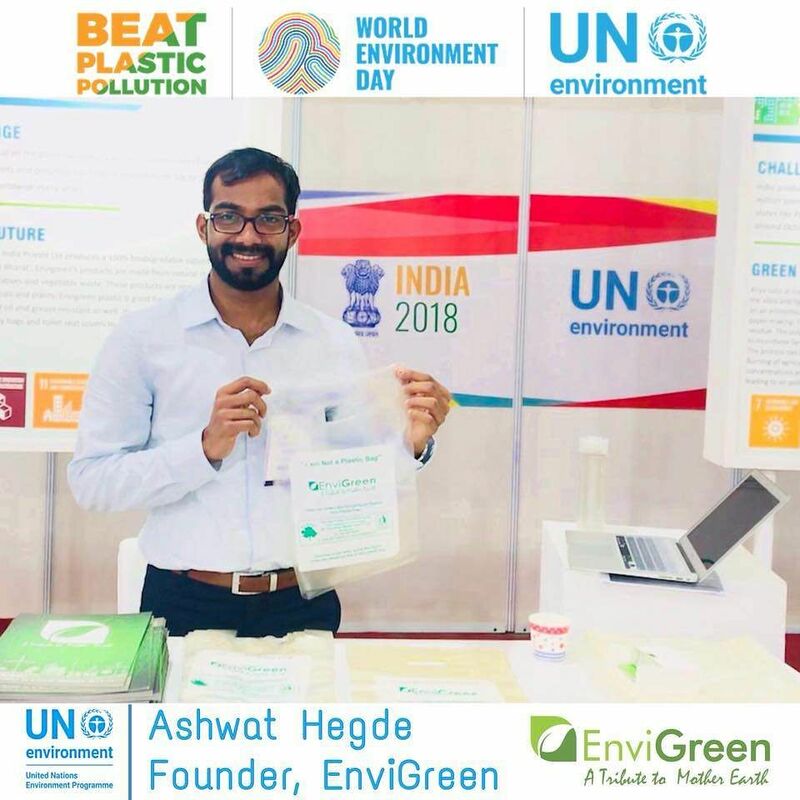 I started Envigreen Biotech India in Bengaluru and today, our biodegradable plastics are available in 13 countries including Qatar, Dubai, USA, UK, Kenya, India and many more." Before the biodegradable bag was launched in the market, the Karnataka State Pollution Control Board tested it several times through various methods. 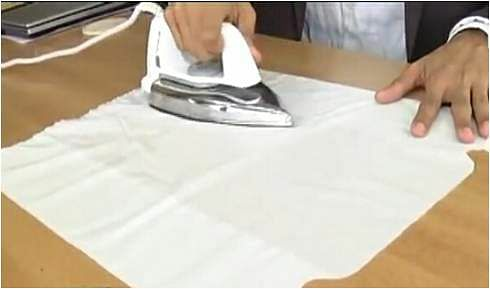 One such method was using a hot iron to see if Envigreen plastic melts or sticks to the iron. Envigreen successfully demonstrated that it doesn't melt, stick or smell like normal plastic. When we asked Ashwath about the number of days it takes for the product to degrade, he says, "The most interesting feature of this bag is that it can dissolve in hot water (100 degree Celsius) and the water can be used for gardening as it does not contain any chemicals. Meanwhile, it takes over two months for it to degrade in the open air without causing any harm to the environment. Since the ingredients used in this plastic are edible, it does not harm animals in case they consume it." 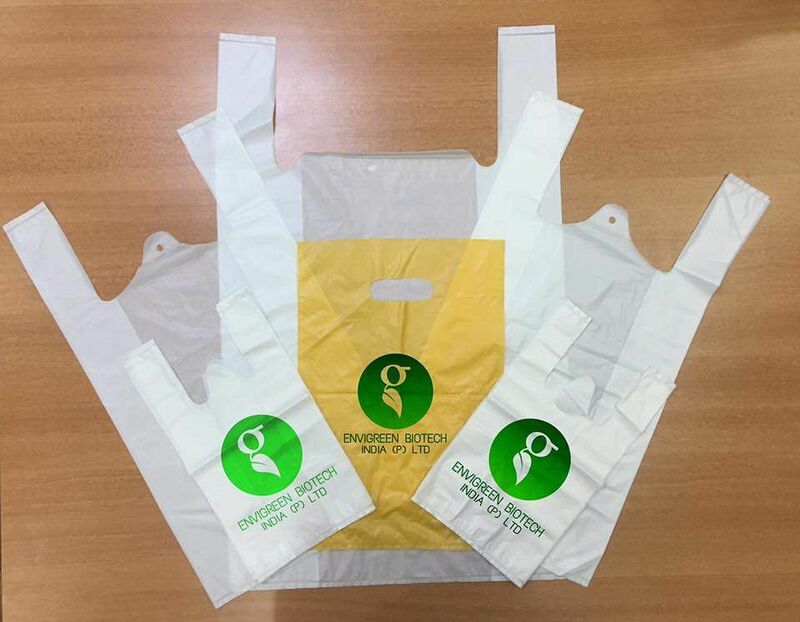 Envigreen's plastic bags come in all sizes and shapes. While their medium-sized bag costs as little as Rs 3, the cost increases as per the quantity and size. The manufacturing unit is located in Peenya and the bags are produced based on the demands of customers. They also produce trash bags, aprons, oil and grease sachets, laundry bags, grip hole bags and so much more.